Tax Commissioner Chris Jordan has defended the ATO’s record with small business, telling Parliament he wants a reset with the sector after years of criticism. Appearing before a Senate budget estimates hearing on Wednesday, Mr Jordan said the ATO was committed to providing small business taxpayers with a chance to be heard and have their individual circumstances considered, promising simplified processes and streamlined complaint resolutions. Labor plans to install a second ATO commissioner to resolve disputes, a policy announced off the back of a joint investigation by Fairfax and Four Corners which revealed allegations of heavy-handed use of garnishee notices to recover revenue, prompting serious concerns about confidence in Australia’s taxation system. The investigation revealed the ATO made mistakes in one in 20 tax cases, driving some small business owners to the wall. Second Commissioner of Taxation Andrew Mills is pushing back against criticisms from the tax office watchdog. Mr Jordan said he remained very disappointed with negative public commentary about the ATO’s relationship with small business, despite its success in reforming processes and recovering tax revenue. “I want to draw a line in the sand so we can move forward, and so others can too,” Mr Jordan said. Among improvements to support small business, Mr Jordan said the ATO was bringing forward the launch of an independent review for its small business pilot and was reviewing penalty relief measures for first-time issues. He said the ATO was speaking directly to businesses about irritants in the tax system, part of his mandate to change the way the organisation works. Mr Jordan, who in his last appearance before Parliament denied ATO staff were “mongrels” or “bastards”, said great change had taken place since he became commissioner in 2013. “I’m asking people to step back and see us for who and what we are today,” he said. Meanwhile, Second Commissioner of Taxation Andrew Mills on Wednesday pushed back against criticisms from the tax office watchdog that the ATO hadn’t gone far enough in reforming its appeals system for disgruntled taxpayers. “What is different, though, is the ‘old’ solutions for improvements to ATO’s dispute management are still being touted, based on the ‘old’ ATO, when in fact the ATO’s dispute prevention, management and resolution have significantly changed in the past few years,” he said in a speech in Perth. Among the changes the ATO had made under Mr Jordan’s leadership were separating all reviews of disputes from the people in the Tax Office who made the original audit decisions, Mr Mills said. “The Second Commissioner … has ultimate responsibility for managing tax disputes for all taxpayers,” he said. Inspector General of Taxation Ali Noroozi argues the current Second Commissioner for appeals is not independent enough, because Mr Mills heads up the appeals function and the area that sets ATO precedential views. “The appeals function must be truly separate, and be perceived to be so, from both the compliance and legal advisory functions to facilitate a fresh and impartial review of the taxpayer’s case,” Mr Noroozi said in a speech on October 4. Mr Mills said there was “no conflict”. “That ATO officers should follow well thought through precedential views of the ATO should come as no surprise, and indeed, should be expected by taxpayers to ensure consistency in the application of the law,” Mr Mills said. 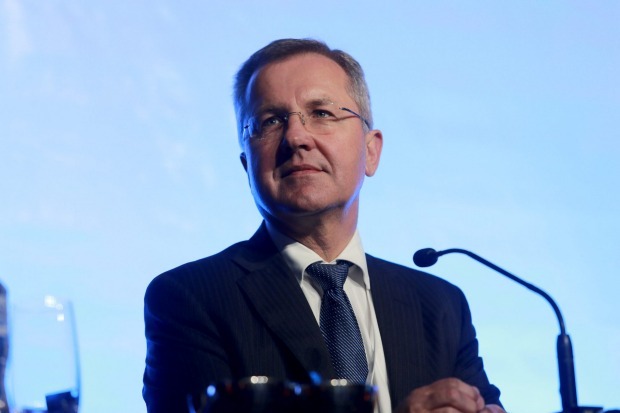 It is understood Assistant Treasurer Stuart Robert is satisfied with the ATO’s reforms. Next articleWhat is the Magnitsky Act? How does it apply to Khashoggi’s case?